Maria's Oil provides our customers with the three most commonly sought qualities in any company you wish to do business with. We are not an internet company. We have a fully staffed office and we answer our own phones 24 hours a day, 7 days a week. Our company started as a service department, and over time evolved into a heating oil delivery company with a full service department. There are no sub outs in our business. 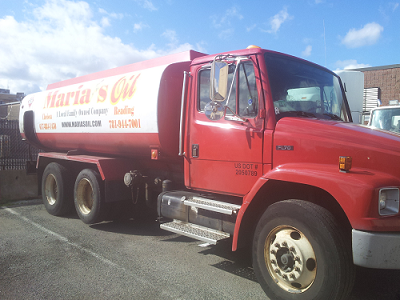 Everyone who answers your calls, delivers your heating oil, and services your equipment is part of the Maria's Oil family. So forget calling a separate number for service, and waiting for "the guy that covers this company's service". It's time to make the switch to that one number, with endless possibilities. At Maria's Oil, We Have Your Back! Content copyright 2011-2012. MARIASOIL.COM. All rights reserved.